There is much that I absolutely love about this story. I love the simplicity of this faith. I love the recognition that God is nearer than we realize, and knows what we need even more intimately than we know ourselves. I must admit, however, that underneath the sweet sentimentalism of this parable lurks that question—you know the one—that question that we have all asked, whether crouched on our knees, praying alone in the dark and crying out for deliverance, or gathered with faithful, like-minded others: does prayer actually change anything? I admit that I have a complicated relationship with prayer. On the one hand, I have made a discipline of prayer throughout my life. Prayer for me is not purely about making requests of God; rather, it is about communing with my heavenly Father in adoration and praise, pouring out my heart and listening. The requests that I make in prayer are usually aspirational, like “make me more like You.” But I have also sat through prayer meetings in which people have asked me to pray for their best friend’s uncle, or their wife’s cousin, people I’ve never met. I have seen even more of this on social media, which puzzles me. They seem to believe that prayer is an energy force of some kind, and if they can only get enough people praying at the same time, perhaps God will intervene in their favor. Yikes. 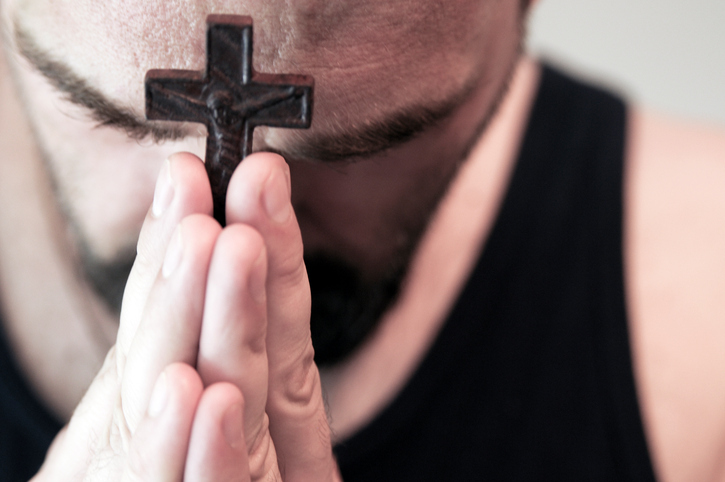 Does prayer actually change anything? The way that you answer this question will reveal your theology on the deepest level. There are many places we could turn to in the Bible to answer that question, but I am fascinated by an unusual one in the first chapter of Acts. Maybe prayer changes more than we realize. In the first chapter of Acts, Jesus has ascended into heaven and has told His disciples to wait in Jerusalem for the coming of the Spirit. They begin to gather for prayer in an upper room with a broader group of Jesus’ followers. Peter, in a typical Peter manner, comes to a decision and stands up to inform the others. He believes that they need to appoint another to replace Judas as one of the twelve, someone who has been there from the beginning and can be a witness to the life, death and resurrection of Jesus. Not a bad instinct on his part, but was this the right question to ask just then? They cast lots and come up with Matthias, a disciple that we’ll never hear from again, lost somewhere in history. There are several obvious problems with this selection. First, Christ had never asked them to replace Judas. He asked them to watch and wait for the coming of the Spirit. That was his directive. Second, why is the number twelve so important to Peter when it comes to disciples? They had just asked Jesus whether He would restore the kingdom to Israel at this time, a kingdom in which Jesus had promised them twelve thrones. Clearly, Peter had twelve on the brain. And so Peter takes random verses from two psalms of David and rips them out of context to justify his decision. The whole episode feels a little strange, arbitrary…and familiar. I have found throughout my life and ministry career that when we go to God in prayer to answer a specific question like this, we very often hear exactly what we want to hear, whether we realize it or not. Funny how the Spirit seems to confirm what we already think in these situations. Very often, we discover some line from the Bible that seems to spiritually support our decision, even if it is a world away. How many times have I heard people do this very thing? Why? We are looking for anything to confirm what we think. We are not listening. Should I take this position? Should we hire this pastor? It is ironic how often that definite “yes” answer that I believe I received becomes “oh-my-goodness-no!” in hindsight. Maybe we are asking the wrong question; or, perhaps God is answering a different question than the one that we asked. Hmm. Peter was right about one thing: God had indeed already appointed another apostle to replace Judas. Peter had a strong view of God’s sovereignty, that is, that God has a plan for history and has made certain choices as part of that plan. His belief is crystal clear in the way that he talks about the selection. Just as Jesus chose Judas, knowing the hot mess that would become, God had chosen another to replace him. So strong was his belief in God’s sovereignty that they cast lots—they rolled the dice. Would we ever do that today? But God had already chosen another apostle, and many scholars believe his name was Saul, not Matthias. So did they get it wrong? Did they make a mistake? No. In my opinion, God was simply answering a different question than the one they had asked. I remember being part of a church plant in the early 2000s. It was a really wonderful group, and although our growth was slow, it was a remarkably joyful and close-knit community. After three years, our planting pastor decided that he needed to move on. Given that we were such a small church, it would be difficult for us to continue, even though we all loved what God was doing. But we formed a search committee to find a pastor. They prayed as they gathered resumes, and interviewed candidates. We prayed for them and for our church, and then over the candidate we selected. When the new pastor came, however, things went south immediately. After only eight months, he resigned, and we had to close. I’ve asked myself since, did we make a mistake in our choice? Could we have made a different choice of pastor? Or were we asking the wrong question all along? Prayer challenges us to grapple with God’s sovereignty, undeniably. And what you believe about God’s sovereignty will almost certainly affect your practice of prayer. Some believe that prayer merely changes our hearts, and nothing more. Others believe that our choices play into God’s eternal choice. No one will solve this question. But it changes the way we pray, and frankly, the way that we live. Perhaps you have wondered the same thing about choices in your life that went awry. Could I have married a different person? Could I have prevented my son from turning to drugs? Honestly, I can’t really answer that, and I can’t say if our church could have chosen a different pastor. But I have no doubt whatsoever that we could have made better choices along the way. What would have made the difference? The way that we prayed. One thing the early believers got right is mentioned time and again in Acts. In fact, hardly a single chapter goes by without at least one mention of this activity. They prayed together. They were devoted to prayer—together. It is the hallmark of that early Christian community, more than anything else. Prayer saturated the community, and not solitary prayer, but group prayer. We don’t know everything they prayed about. There was certainly intercession for one another in sickness, and prayer over critical decisions. They stayed up all night praying for Peter the night he was miraculously released from prison. We don’t know if they always got it right in prayer. That’s not the point. The point is they prayed together. The most immediate challenge in prayer is an obvious one—no one is directly responding to our questions. It feels like we are speaking into thin air, and that we go unheard. The reason that prayer is such a discipline is because there is no immediate payback. We are often spiritually challenged when we pray, because we want instant gratification. Our own thoughts and desires get in the way, and they are easily confused for God’s voice. We have not learned to listen well, and so people who are spiritual beginners tend to fill in that blank with the answer that their hearts naturally gravitate to. Prayer becomes an echo chamber. This is why praying in a community is so important. When you pray together with others, you are embarking on a spiritual journey together. You are acknowledging your ultimate dependence on God with a group of people who feel the same way. It means that you are not alone in your spiritual walk. That is what a community is all about, and it is doubly true for a spiritual one. Others can help you to listen better. When faced with decisions, you can access a multi-dimensional spiritual answer. You need others to help you hear God’s voice more accurately. It is in the intersection of many voices that we find direction. Community is the place where we learn to listen, and we learn to pray. And so here is my advice: 1) Find a community to pray with on a regular basis; you need that perspective. 2) Ask open-ended questions in prayer and resist the urge to supply an answer. God loves open-ended questions because it means we are waiting on Him. And finally, 3) pray as if prayer does actually change things, because it is certainly more powerful than you know.